Semrock warrants that its optical filters will meet their stated specifications under normal use for ten years from the date of sale. Filters that have been abused are excluded from the warranty. Examples of abuse include exceeding the optical-damage-threshold specifications by focusing an intense light source onto the surface of a filter, or operating a filter in extreme environmental conditions beyond the stated specifications. Physical abuse includes dropping, crushing, or otherwise impacting a filter with a hard object, or subjecting a filter to chemicals capable of dissolving glass or degrading the filter mounting (if present). Modification of a filter from its original form voids the warranty. Examples of modification include removing a mounted filter from its housing, changing the filter's dimensions or shape, or removing all or part of a thin-film coating. A filter that is believed to be defective under the terms of the warranty may be returned for evaluation at the expense of the purchaser. Warranty replacement is at the discretion of Semrock. If an equivalent filter is no longer manufactured or available, a filter of similar function or equivalent value may be offered as a replacement. Semrock is not liable to the customer for any other costs or damages. 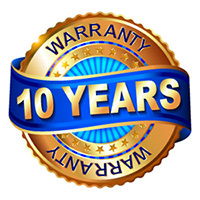 This warranty applies only to the original purchaser and is not transferable.